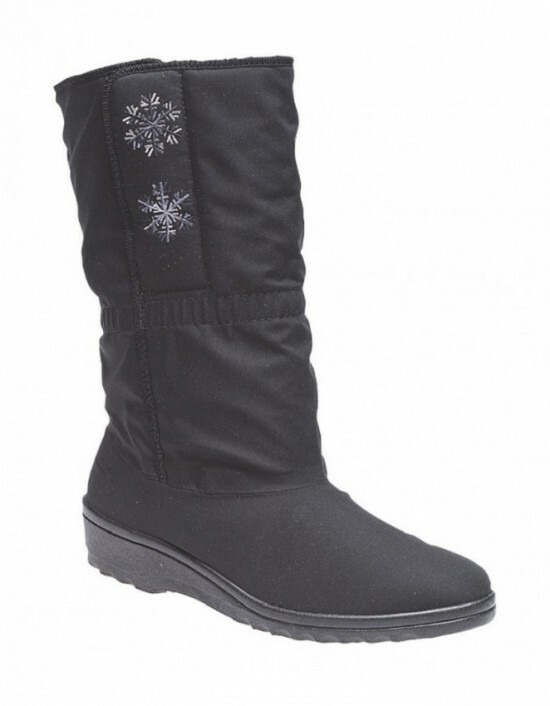 Blizzard Boots, Black Porelle, Waterproof.Hand Washable. FREE Delivery! 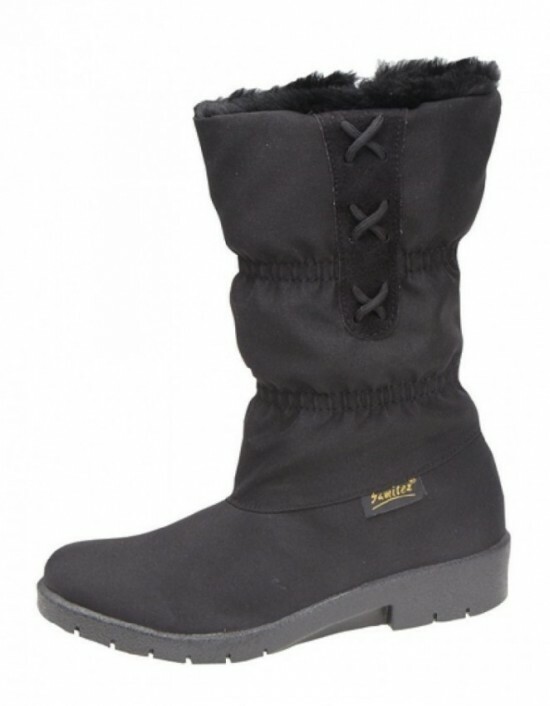 Blizzard Boots, Black Porelle, Waterproof & Breathable. FREE Delivery! Mod Comfys, Black Nylon,Samitex Membrane.Waterproof FREE Delivery! Mod Comfys, Black Nylon,Samitex Membrane,Waterproof Foot. FREE Delivery! Kick start the season with our half suede knee high boots.These boots are proving essential for the season. A contemporary take on a classic riding boot, Wear with anything - floaty frocks and a camel coat, mini skirts or luxe leggings. Free Delivery!! These mid heeled ladies boot are finished with a chunky buckle and ruffle Ankle detail. Free UK Delivery! Fantastic is the word that describes this boot. It's V inset and diamante trim make it so super stylish that it could be worn any time, any place, anywhere. Free UK Delivery. 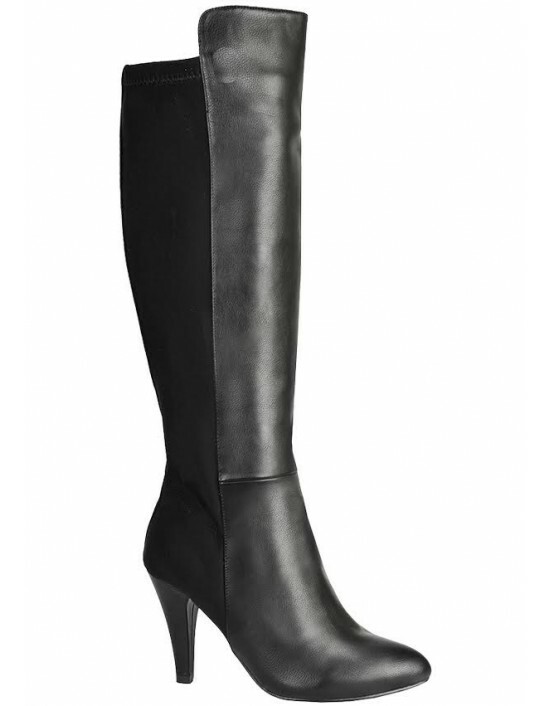 Kick start the season with our half mattestyle high boots.These boots are proving essential for the season. A contemporary take on a classic riding boot, Wear with anything - floaty frocks and a camel coat, mini skirts or luxe leggings. Free Delivery!! Ladies, black suede, knee high boots. Free Delivery!! !